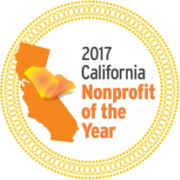 New Horizons Becomes a 2017 California NonProfit of the Year! Thanks to a nomination from Assemblymember Adrin Nazarian (D-46), on Wednesday, June 28th, New Horizons was named a 2017 California Non Profit of the Year as part of California Nonprofits Day. In recognition of New Horizons’ longstanding support of those it serves within the community, Interim CEO Roschell Ashley and Emeritus Council member Susan Stearns were invited to Sacramento to receive the award on behalf of the organization at a special luncheon and ceremony held at the Capitol. To put it in context, there are a total of 72,000 nonprofits in California. New Horizons joined an elite number of nonprofits honored from assembly and senate districts across the State at the 2nd Annual California Nonprofits Day Event. 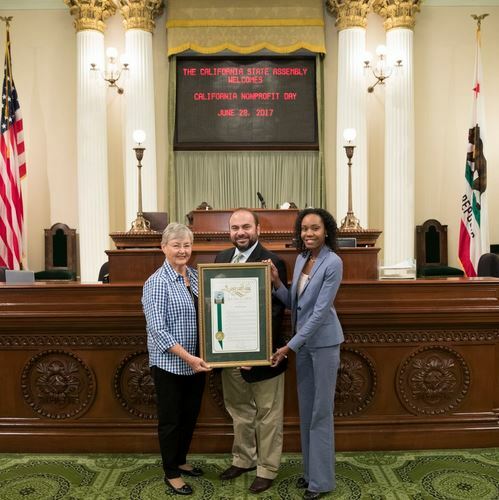 In nominating New Horizons, Assemblymember Nazarian celebrates the important contributions the agency has made through its work in the community. New Horizons continues to provide the best in job training and placement services, educational programs, and residential homes in support of more than 1,600 individuals with special needs each year. New Horizons is responsible for the largest number of individual employment placements of individuals with intellectual and developmental disabilities than any other service provider in Los Angeles County. We thank Assemblymember Nazarian for having selected us for this honor, and for the partnership we enjoy on behalf of those we serve.